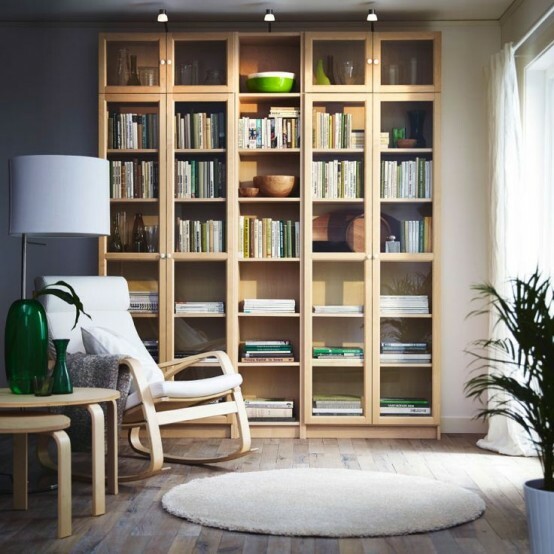 IKEA Billy bookcase is a simple unit with enough storage for a limited space or a foundation for a larger storage solution if you need it, and adjustable shelves can be arranged according to your needs. 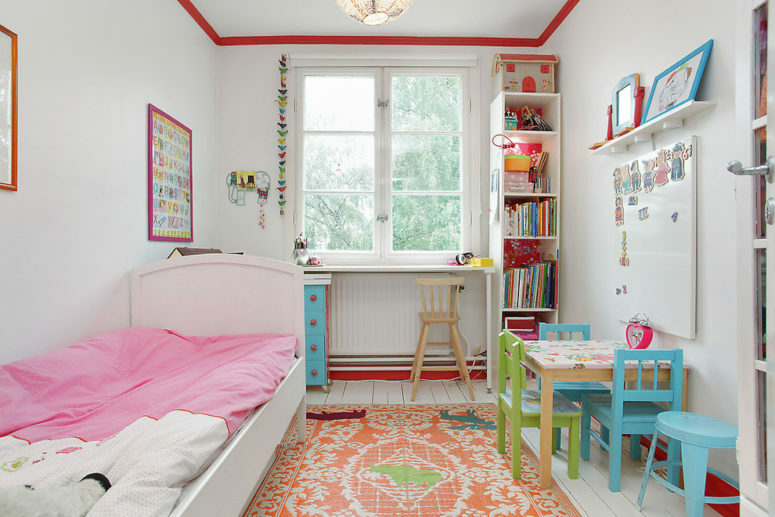 This furniture must be secured to the wall with the enclosed wall anchoring device, it may be used with or without doors. 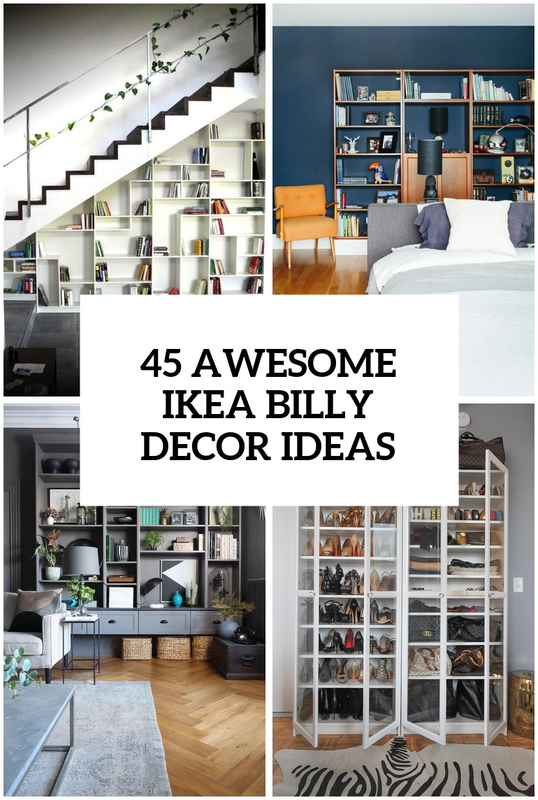 You can easily create a real library at home with these bookcases, or rock one in a home office, bedroom, closet, living room, dining room and so on – Billy is great not only for books, it can accommodate everything from tableware to shoes. 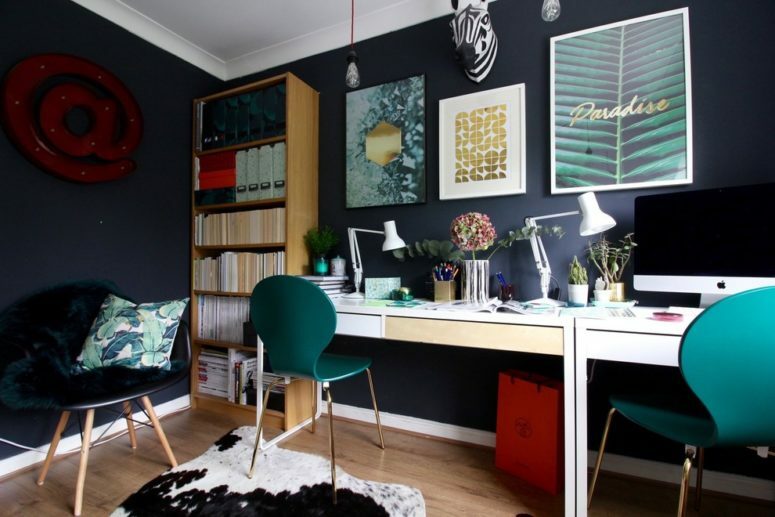 Look how to hack and rock IKEA Billy piece in your interiors below! 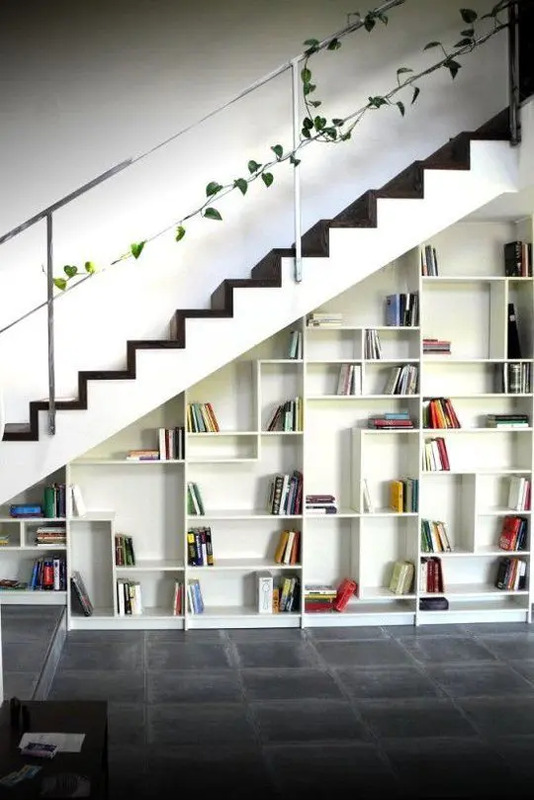 You can turn it into a shelving unit into a smart under the stairs storage system. 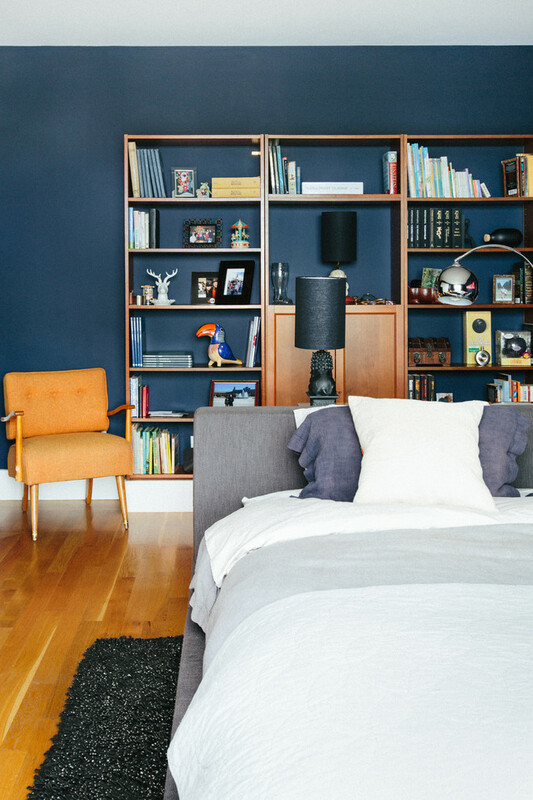 With several wood boards you can make Billy bookcase looks like a modern two color built-in. 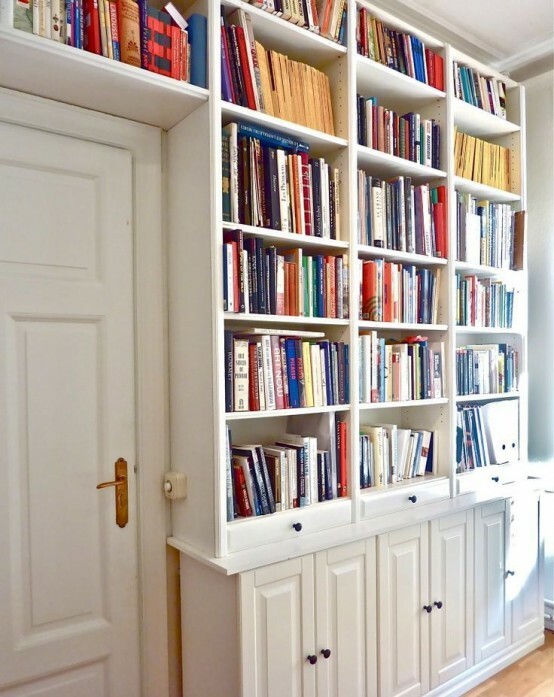 Several bookcases connected together provide a LOT of storage space for books, magazines, boxes and other stuff. 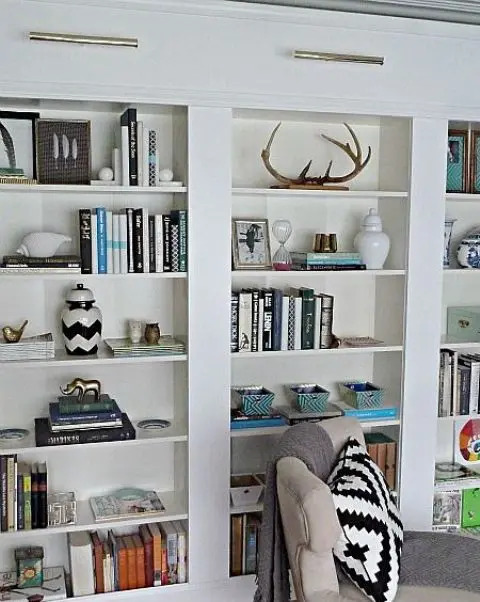 Add glass doors and this plain bookcase would become a nice display stand. 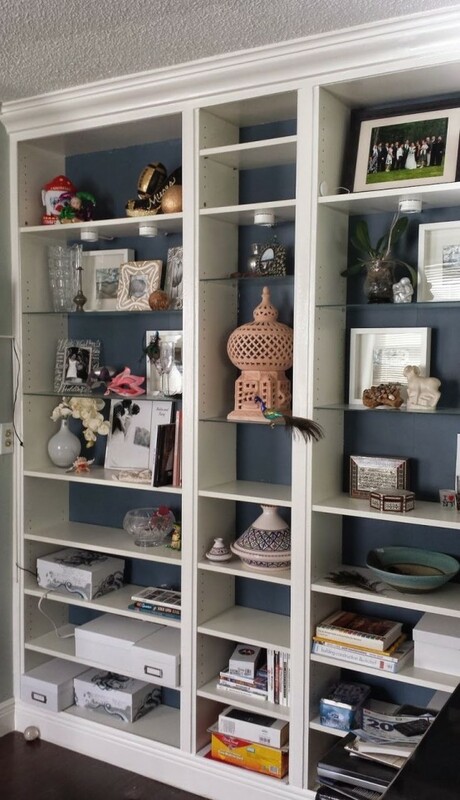 For example you can display your shoes collection in it. 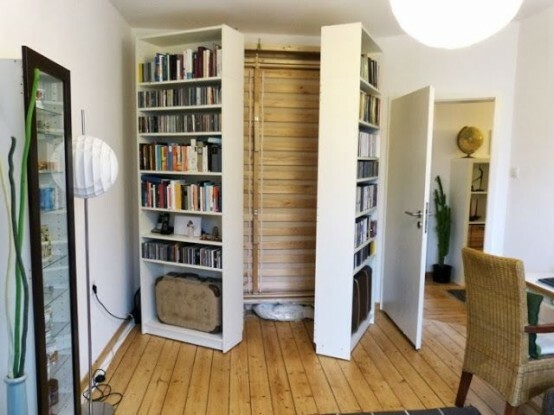 BTW, there are plenty of other cool IKEA shoe storage hacks out there. 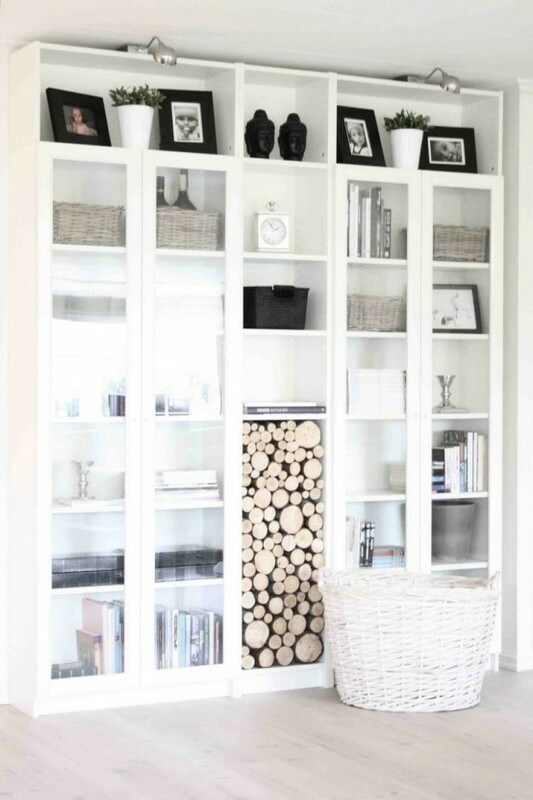 Birch veneer could look great in your interior if you have some more light wood furniture around. 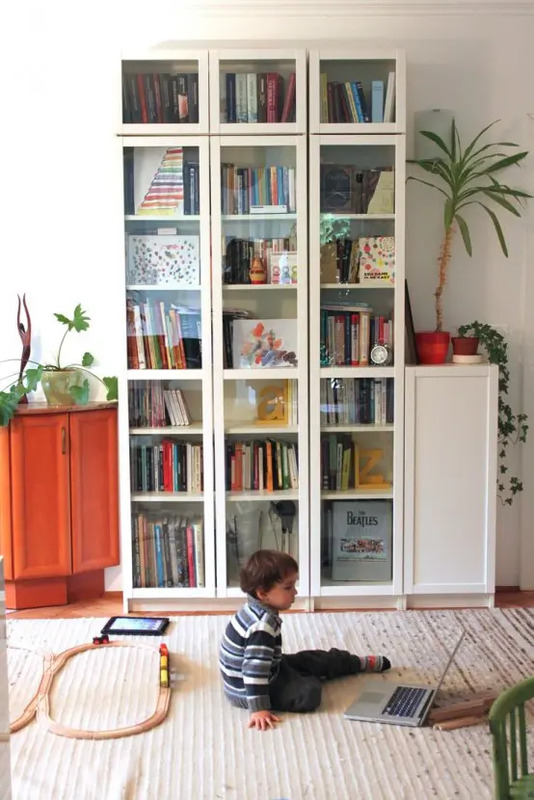 Even short BILLY boockases could store lots of books and provide enough surface to display pictures. 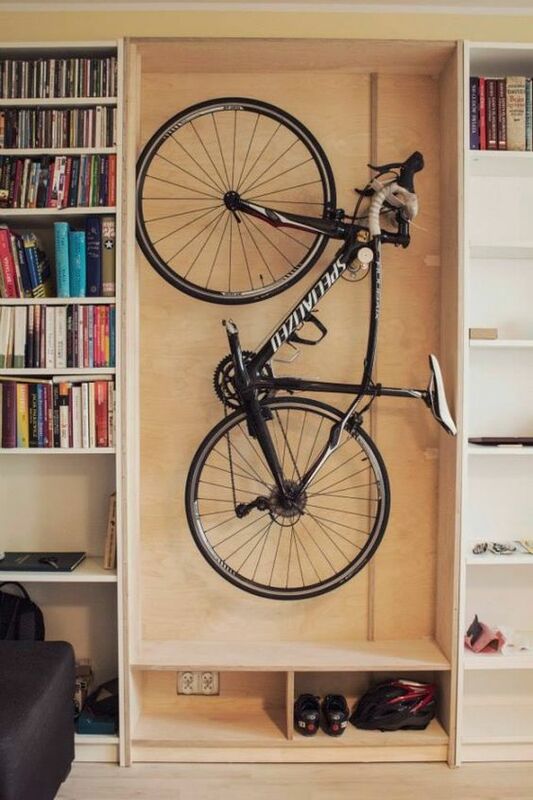 Even corners could have lots of storage space. 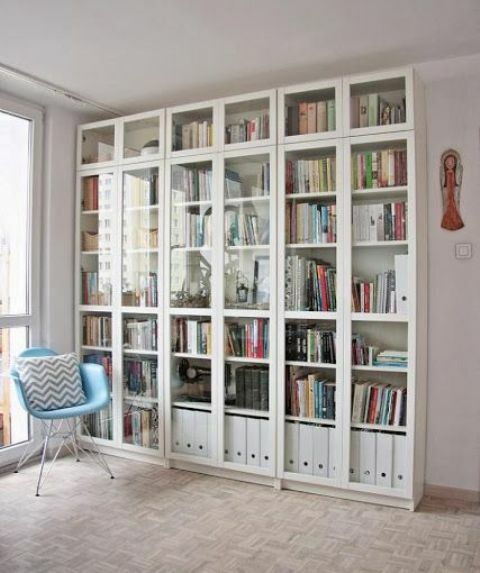 You can frame a door with Billy bookcases. 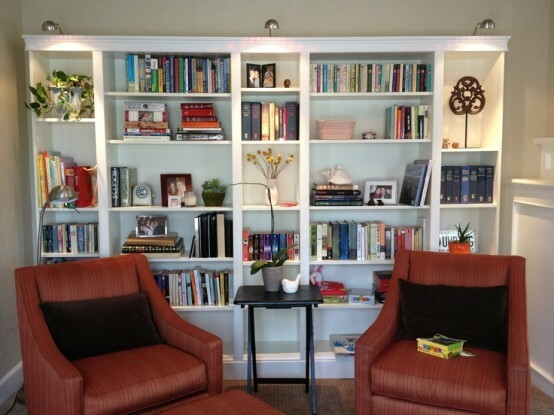 It's an awesome solution for a home library or if the space is at a premium. 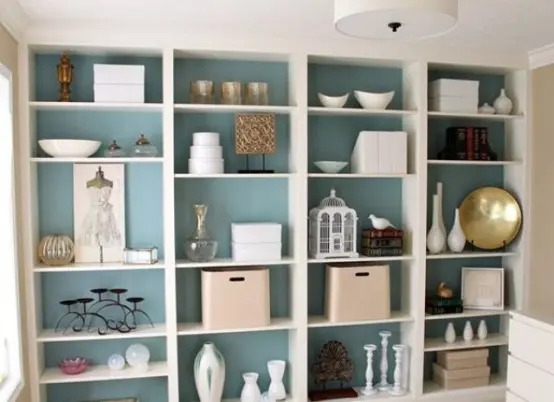 Think about colors your gonna display in your white storage system. 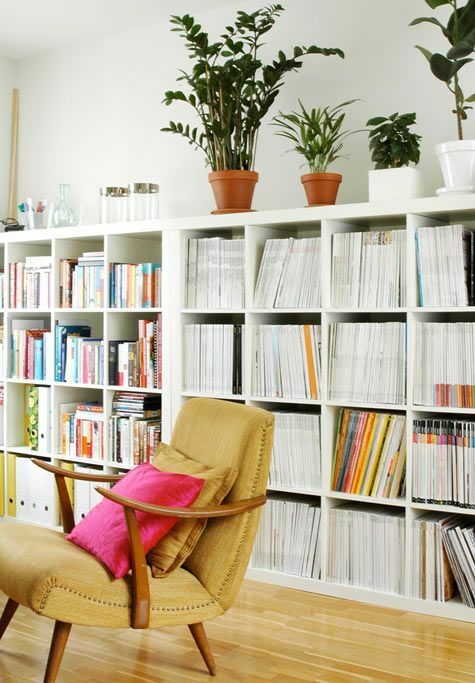 You can make a bunch of Billy bookcases look like a real built-in. 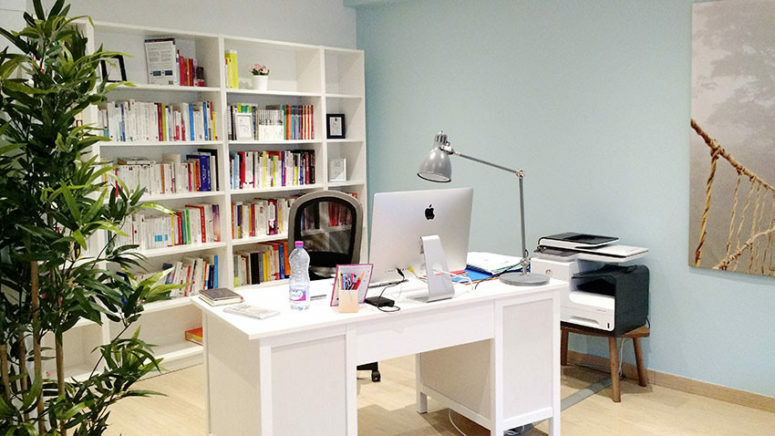 It won't be a pricey project! 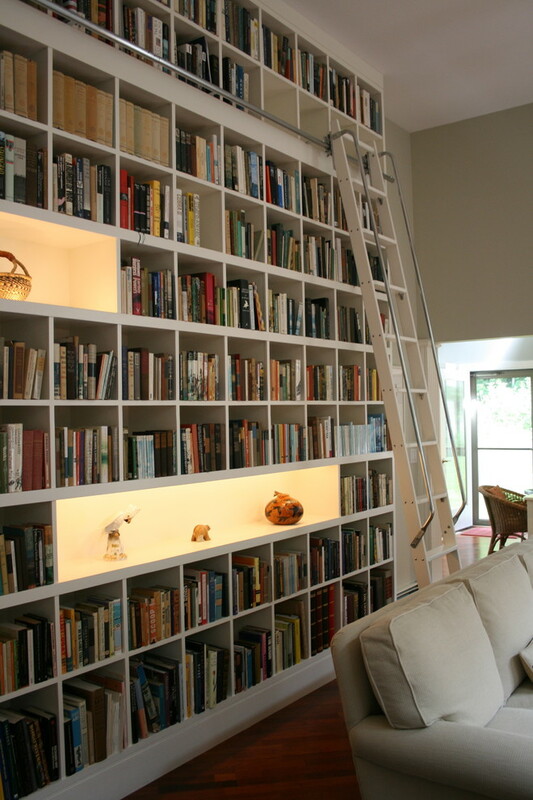 Low version of a bookcase look even better. 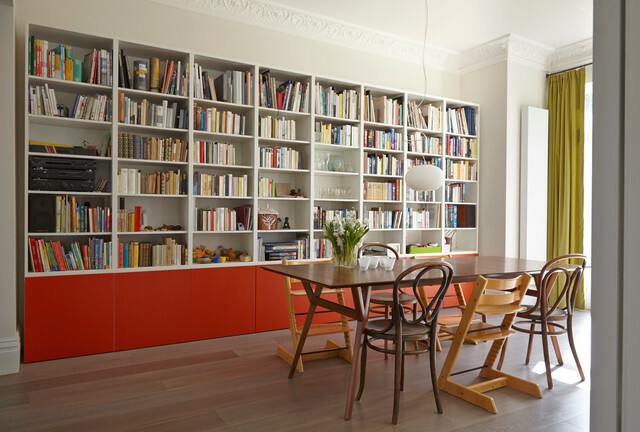 Although the floor to ceiling design provide considerable more storage. 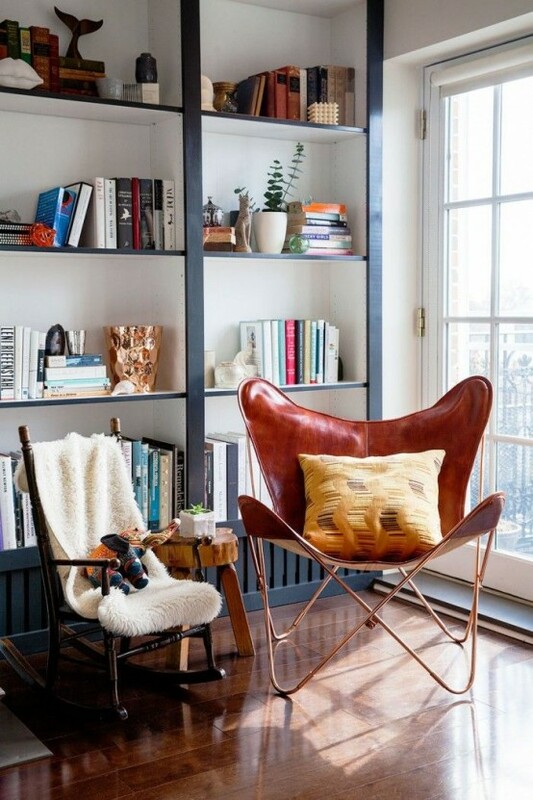 Combining a high and low units might be an interesting design choice. 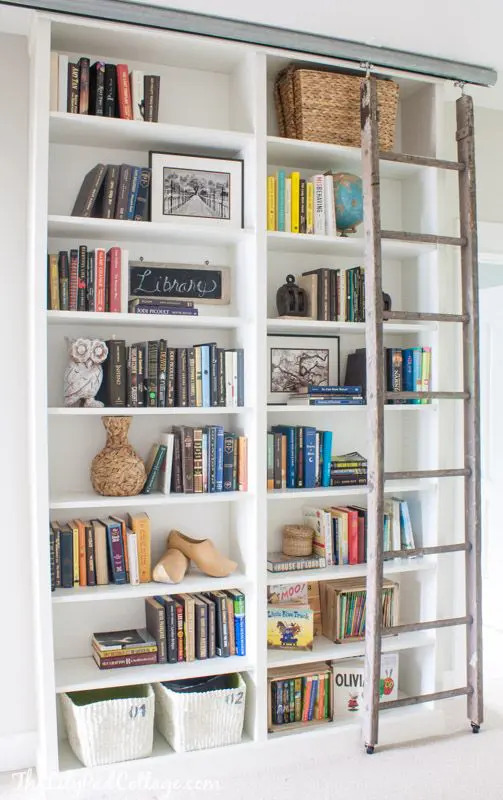 Adding a rustic moving ladder would add a special filling to simple Billy bookcases. 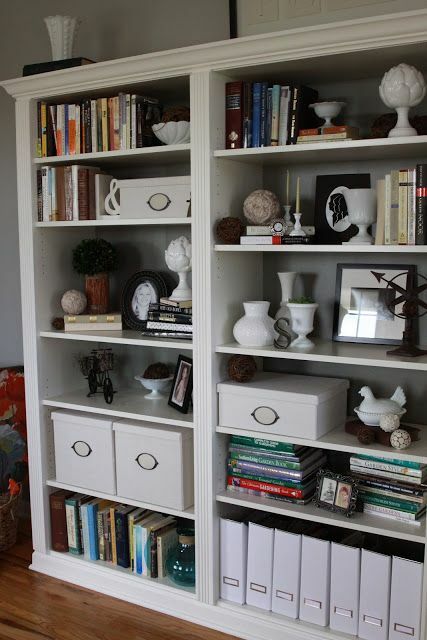 Crown moldings will change the look of a IKEA Billy bookcase to be more expensive. 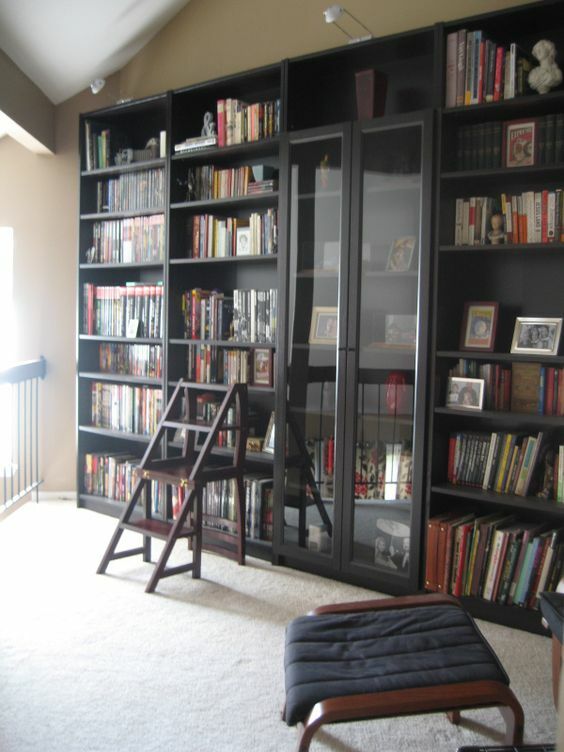 Building a really tall shelving system out of Billy bookcases is possible. 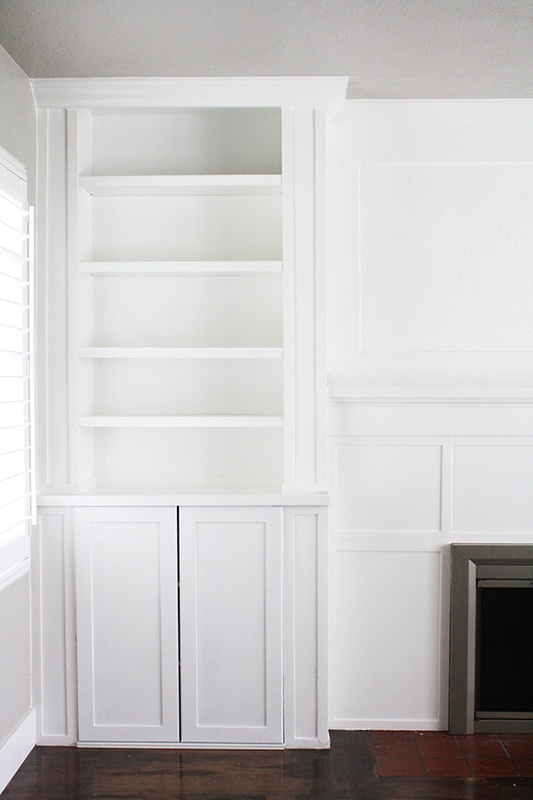 Crown molding is usually what you need to turn a bookcase into a built-in when the ceiling is low. 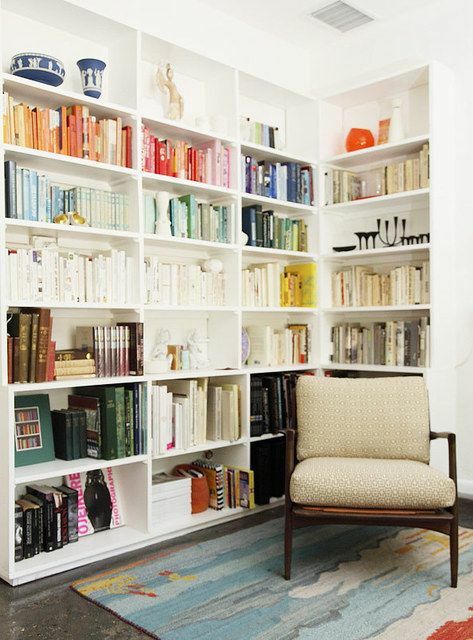 Painting the bookcase's back-panel might be a great way to add a color splash to your room. 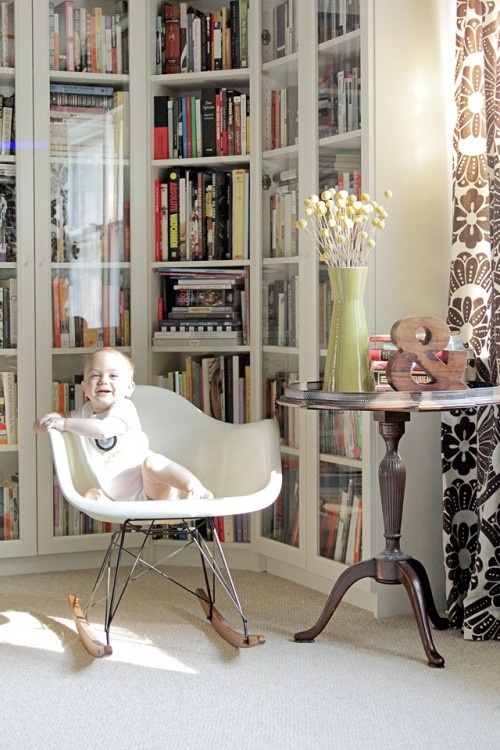 In a kids room, a bookcase is a necessity. 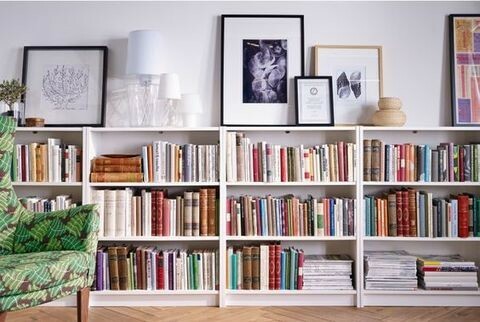 Mix IKEA Pax units with BILLLY bookshelves to make design a perfect dressing room. 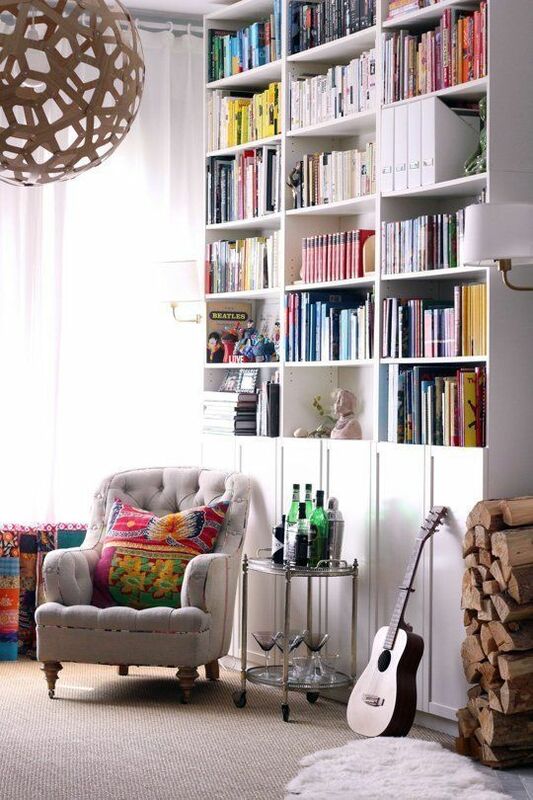 You'll get as much shoe storage as any girl would want to. 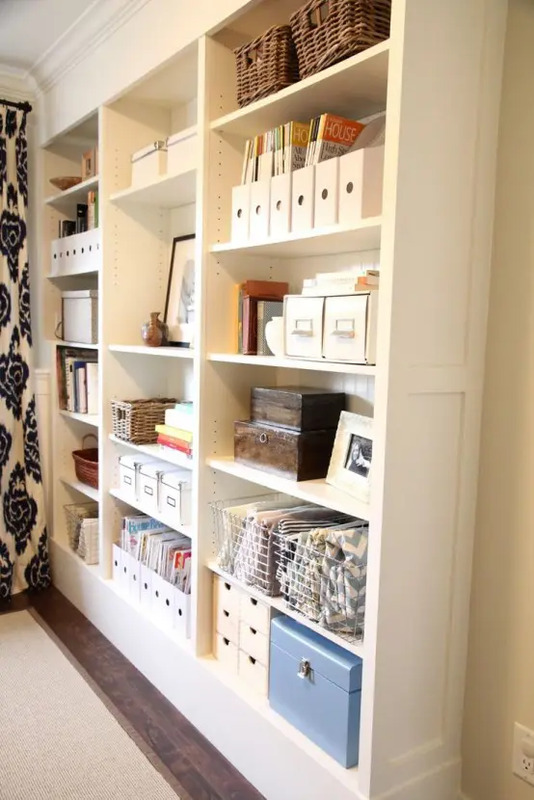 Combining an open and closet storage is always a smart decision. 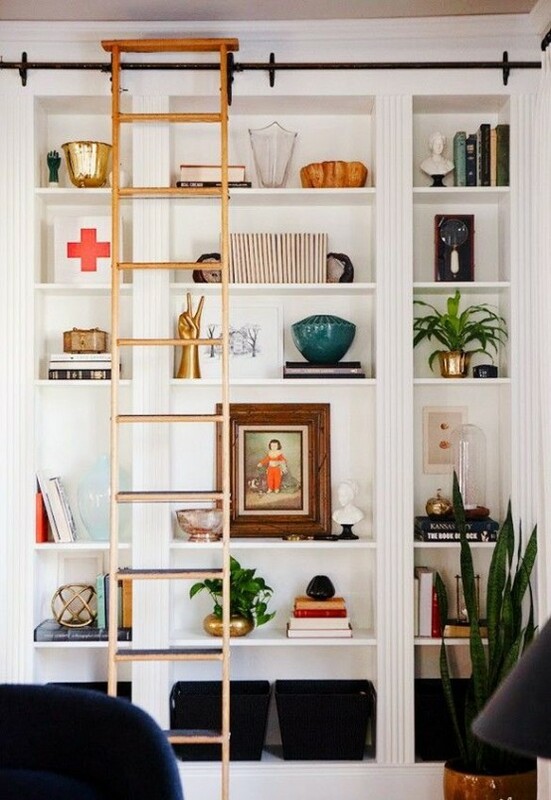 A rolling ladder is what you need if your bookcases are tall. 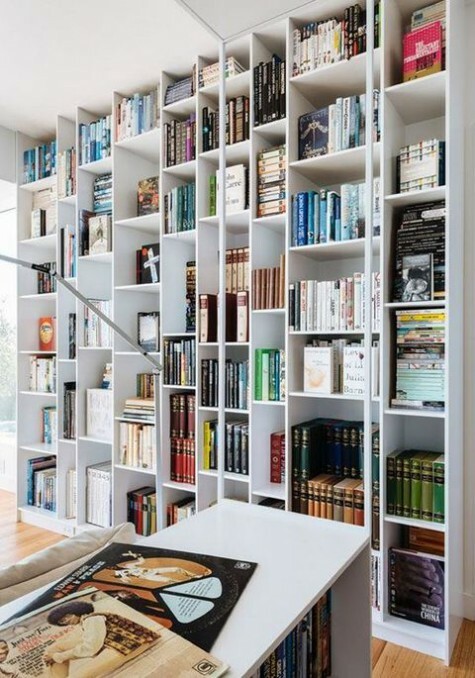 Besides it spice things up. 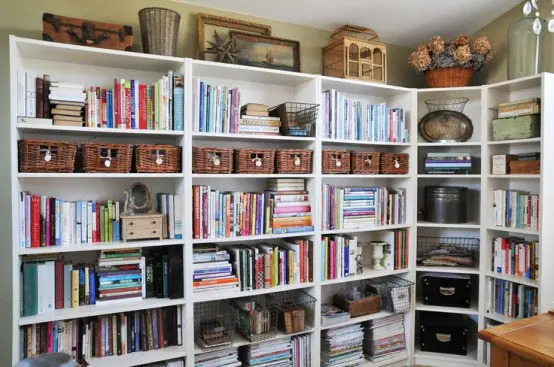 Who said you can't organize log storage in a Billy bookcase? 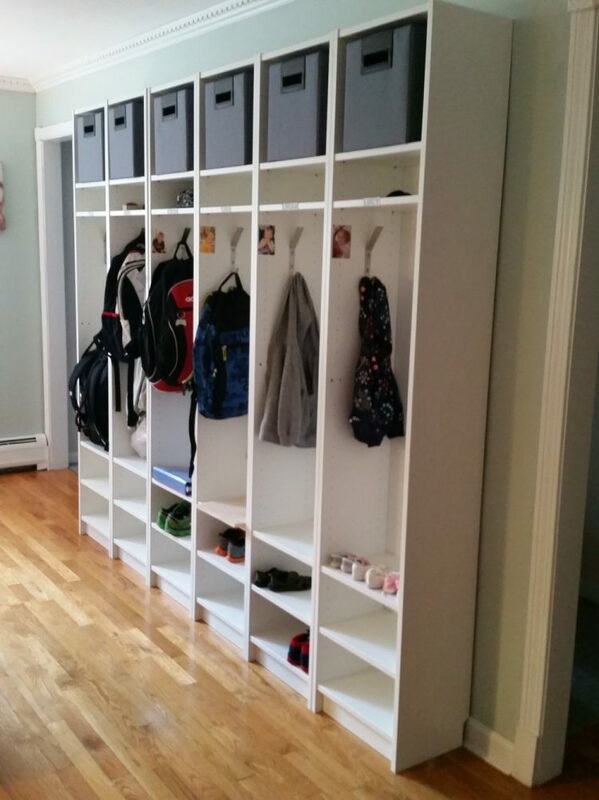 You can make an arch above a door with Billy storage units. 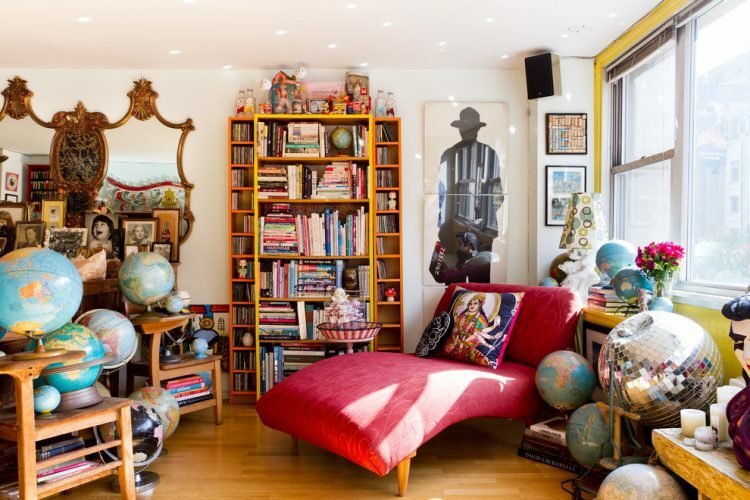 One more example of a great Billy floor-to-ceiling design.